CSK win by five wickets, posting yet another victory in the final over! Jadeja collects the winning runs, cutting the ball towards deep extra cover and coming back for a second off the fourth delivery of the final over! OUT! Excellent yorker from Thakur to end the first innings. Was right in the blockhole, aimed at the boots. Chawal was crammped for space. Misses the flick off the pads and before he knew non-striker Kuldeep was halfway down the pitch for a bye. Dhoni tosses the ball to Thakur, who jogs to non-striker's end to complete the formalities. OUT! Short delivery from Thakur with no real pace on it and Gill, who was looking out of sorts, is not able to get the power behing the pull. Simple catch for the fielder at deep mid wicket. OUT! And gone! Russell goes for another glory shot and is out. Was a quick delivery that was pushed by Tahir, Russell was looking to flat bat it down the ground. Mishits it to long on where Dhruv Shorey runs in and with the ball dying on him takes a smart catch. Big wicket. Tahir is pumped and why not! Big celebrations in line. OUT! Lynn has pulled this straight to deep square. Shardul Thakur in the deep takes an outstanding catch Lynn was looking to smack it acoss the line, didn't get all off it and that brings an end to fine innings. OUT! Oh what have you done, Robbie. Tahir has two wickets in three balls. Chennai have pulled things back and how. Uthappa, too falls for the flight. Tempting delivery and Uthappa was looking for the big shot down the ground off his first ball. Got it from the lower half of the bat Faf at long on is once again in action. Runs in, dives forward and takes a very good catch. Third catch for him. OUT! A loud shout of 'catch' from Tahir and it is Faf, once again at long on, who pouches it safely. Rana was done in flight there. Was tossed up leg break on middle and leg, Rana saw an opportunity to go big, but the lack pace and space, didn't allow him to get the power he would have liked. OUT! Excellent stuff from Santner! Gave the ball just enough flight to lure Narine into the big shot, who was clearly itching after not hitting one in the six balls he had faced so far. Narine doesn't get under the delivery and is only able to get it as far as long on, where Faf completes the catch. That brings us to the end of the first match of the Sunday double-header, with Chennai Super Kings maintaining themselves on top of the points table with their seventh victory in eight games. 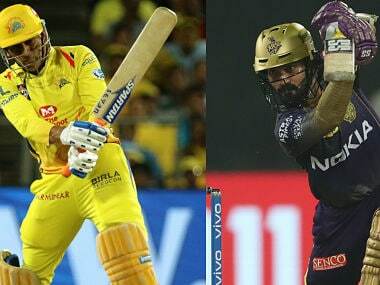 Imran Tahir was brilliant with the ball to help restrict Kolkata Knight Riders, while Suresh Raina went about chase with a cool mind, finishing unbeaten on 58, with Jadeja staying unbeaten on a 17-ball 31 at the other end. 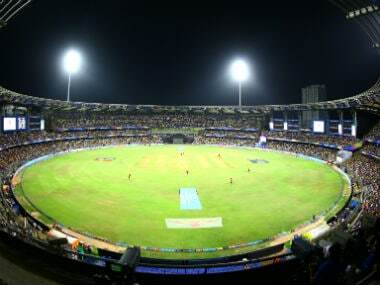 Time for us to shift our attention to the second game of the evening, with Sunrisers Hyderabad winning the toss and opting to bowl against Delhi Capitals at the Rajiv Gandhi International Stadium — SRH's base. Follow live updates on the match here. CSK clinical at the end again. The juggernaut keeps rolling. They now have two wins in two back to back away games. This time Raina puts his hand up to see his team through. The team management will be delighted to see different players making match winning contributions. It only makes them more formidable in their title defense. The match was set up by the Imran Tahir in the middle overs when he broke the back of KKR middle order in a skillful and courageous display of leg spin bowling. CSK's win today was the 10th consecutive for a chasing team in IPL. Chawla is given the ball for the final over, but he starts off with a quicker delivery outside off to Jadeja, which the latter guides towards third man to start the over off with a four. It's a stroll to the finish line thereafter, with two singles and a brace coming off the next three deliveries, as Chennai Super Kings collect their seventh win in eight games to continue their stronghold at the top of the points table! This is CSK's first victory after losing five consecutive matches at Eden Gardens in IPL. Raina has played some good innings this season but hasn't stayed there till the end to see his team home. No matter which way this turns, CSK will be richer for their premium middle order player getting to spend time in the middle in a pressure situation. Gurney is brought back to bowl his final over, but the Englishman perhaps suffers his first major jolt of the season as he is clobbered for three consecutive fours by Jadeja, with 16 runs coming off the over. Suddenly, the job is all the easier for the Super Kings. CSK need 8 to win off 6. CSK have to cross the line without their captain holding the hand tonight. Another timely test for the team. With Jadeja and Raina in the middle and Santner back in the dugout, you would back the men in yellow to cross the line. Narine bowls out his final over. Raina muscles the ball towards the cow corner fence for a boundary off the second delivery. Eight off the over, with four singles coming off it aside from the boundary, as Narine finishes with figures of 2/19. CSK need 24 to win off 12. Prasidh Krishna returns to the attack for the slog overs. Raina collects a single off the first ball to bring up his half century. Jadeja gets a leading off the fouth delivery, and comes back for a second after the ball lands in the vacant area beyond cover. Jadeja drives the ball dow the ground off the following delivery. A wide and a single follow. CSK need 32 to win off 18. This is the first time that Narine has dismissed Dhoni in IPL. Crucial moment in the game after Narine traps Dhoni lbw off the fourth delivery, with MS playing down the wrong line and missing the ball. Jadeja walks out to the crease, and sees off the remaining deliveries. Just one run and a wicket off a golden over from Narine. CSK need 41 to win off 24. Suresh Raina now holds the record of scoring most runs against an opponent in IPL, surpassing his tally of 803 runs against MI in IPL. Gurney returns to the attack after the timeout. Single collected of each of the first two deliveries, with Raina collecting a double and a boundary off the next two. Raina taps the ball down the ground for a single off the penultimate delivery, and Dhoni steers towards sweeper point for a brace off the last delivery. CSK need 42 to win off 30. For some reason CSK are taking way more risks in the middle overs than they are known for. Dhoni miscued a lofted shot against Kuldeep but followed it with another attempt nailed it. It's possible that CSK are challenging themselves to finish it in the 19th over instead of 20. With the team already at the top of the table Dhoni had hinted his team could try a few different things. A different modus operandi of closing a run chase could be one of them. Raina collects a four and a six off successive deliveries to put Chawla under pressure in his third over. Single collected off each of the last three deliveries. CSK need 53 to win off 36. 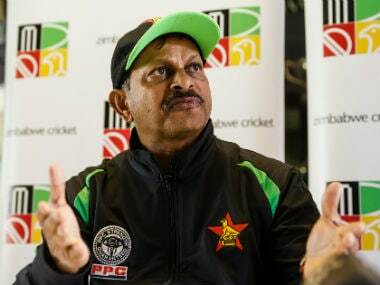 The umpire signals the second timeout of the innings after this over. Raina collects a single off the first ball. Dhoni gets a thick leading edge while looking for a maximum off the second delivery, coming back for a second. MS gets the six that he was looking for in the third delivery, smashing the ball over long on! Fine running between the wickets in the fourth delivery as Dhoni collects another double. Single collected off the last two deliveries, with 13 coming off the over. CSK need 66 to win off 42. Uncharacteristic inning from Jadhav. He had to keep the required run rate under control but was taking too many chances that weren't required in a chase of 162. It means that man Dhoni again has a job in his hands to take his team across in what is a tight run chase now. MS Dhoni's batting SR against Sunil Narine in IPL is 50.88. We are on to something here. The trinity of spinners for KKR are making an impact on the game. They have sustained pressure from both ends and Rayudu perished as a result of that pressure trying to play an uncharacteristic uppish drive. Jadhav has started well with those deft touches and lovely hands. He is one of the best players to have in this situation. Chennai need to make sure that they don't get too far behind the run rate while trying to consolidate. Chawla replaces Narine from the High Court End, and he strikes right away, dismissing Rayudu right after the timeout, as the India No 4 hopeful falls cheaply on the eve of India's World Cup squad announcement. Jadhav walks out to bat, and collects consecutive boundaries to get going right away, before collecting a single off the last delivery. Nine off the over. Still anyone's game at the halfway stage of the CSK innings. CSK need 92 to win off 60 balls. Kuldeep Yadav brought into the attack in the ninth over, with Rayudu and Raina opting to keep the scoreboard ticking through singles, four of which are collected in the over. Umpire signals timeout at the end of this over. Has been an even contest between bat and ball so far in this innings. Narine concedes 10 off this over, including a boundary off the penultimate delivery to Raina, and a wide as Chennai cross the 50-run mark. The two wickets that they have lost have only put the brakes on their run-rate, and CSK will need these two to put up a solid partnership to get back in control. Narine gets the all important scalp of Faf du Plessis. He hasn't been in the best of bowling forms this season but this could well be the challenge that helps him revive his mojo. He needs to play the role Tahir played in the first half of this game. CSK aren't going hammer and tongs in the middle over so it won't be surprising if we see another last over finish tonight. Krishna starts off with an 144 kmph outswinger to Raina, who flicks the next delivery towards long leg for a single. Just two more singles are collected between Raina and Rayudu in the remaining deliveries. CSK's run-rate of 6.60 in middle-overs (7-15) this IPL so far - the lowest among all teams this season. Narine is brought into the attack in the final over of the powerplay, and he succeeds in getting rid of the set South African opener off the second delivery with a delivery that beats his defence and knocks the off-stump over. Ambati Rayudu, talk of the town right now with India's WC squad announcement around the corner, walks out to bat and sees off the remainder of the over. Narine starts off with a wicket maiden! End of the CSK powerplay. IPL 12 Match 29 KKR vs CSK at Eden Gardens in Kolkata: Chawla is given the ball for the final over, but he starts off with a quicker delivery outside off to Jadeja, which the latter guides towards third man to start the over off with a four. It's a stroll to the finish line thereafter, with two singles and a brace coming off the next three deliveries, as Chennai Super Kings collect their seventh win in eight games to continue their stronghold at the top of the points table! 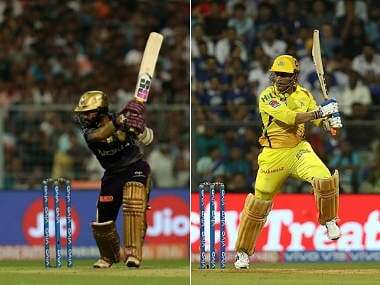 IPL 2019, KKR vs CSK, Today's Match Preview: After suffering back-to-back defeats, Kolkata Knight Riders (KKR) will aim to regain the lost momentum against Chennai Super Kings (CSK) at the Eden Gardens of Sunday. 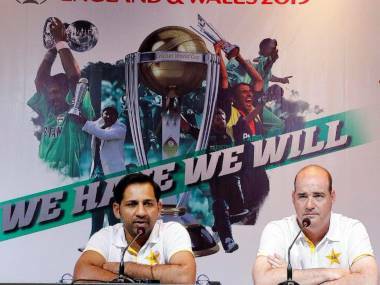 There's a concern within the team that they are over-dependent on star all-rounder Andre Russell to get the job done and to his credit, the West Indian has been phenomenal in the tournament. But other key players from the side need to step up and perform consistently. The spin bowling department of the Knight Riders also should make it count when it matters the most. The likes of Piyush Chawla, Kuldeep Yadav and Sunil Narine definitely have the ability to turn the game around but so far, they have been not doing enough. For Chennai Super Kings, things have been going as per plan. They sit on top of the table, with victories in six matches out seven. One of the big positives for the MS Dhoni-led side is that they are not dependent on one player. The team has a good number of experienced players in their ranks and they have been consistent with their performers. Dhoni has been leading his side well with good selection calls, depending on the match conditions and also with perfect bowling changes. 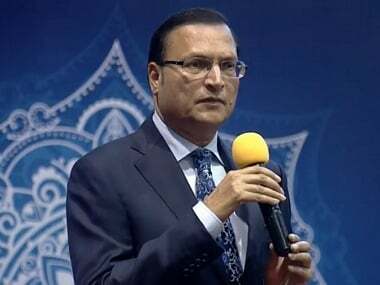 Unlike his cool demeanour, he lost his temper last game against Rajasthan where he walked to the middle of the ground and confronted the umpire over a no-ball call. 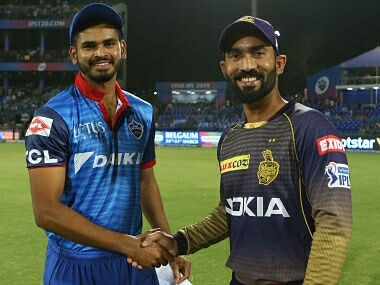 Kolkata Knight Riders Team 2019 Players list: Dinesh Karthik (c/wk), Robin Uthappa, Chris Lynn, Shubman Gill, Andre Russell, Carlos Brathwaite, Sunil Narine, Piyush Chawla, Kuldeep Yadav, Nikhil Naik, Joe Denly, Shrikant Mundhe, Nitish Rana, Sandeep Warrier, Prasidh Krishna, Lockie Ferguson, Harry Gurney, Matt Kelly, KC Cariappa and Yarra Prithviraj. Chennai Super Kings Team 2019 Players list: MS Dhoni (c/wk), Suresh Raina, Ambati Rayudu, Shane Watson, Faf du Plessis, Murali Vijay, Kedar Jadhav, Sam Billings, Ravindra Jadeja, Dhruv Shorey, Chaitanya Bishnoi, Rituraj Gaikwad, Dwayne Bravo, Karn Sharma, Imran Tahir, Harbhajan Singh, Mitchell Santner, Shardul Thakur, Mohit Sharma, KM Asif, Deepak Chahar, N Jagadeesan, Scott Kuggeleijn.